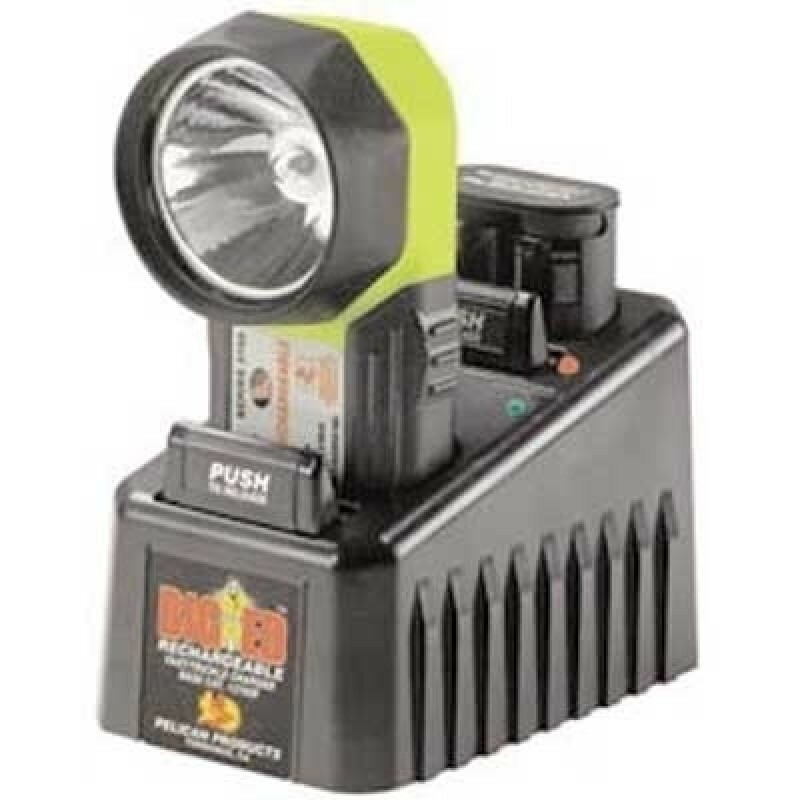 The Pelican 3750 Big ED Rechargeable Flashlight is the industrial strength right angle flashlight designed specifically for fire fighters. 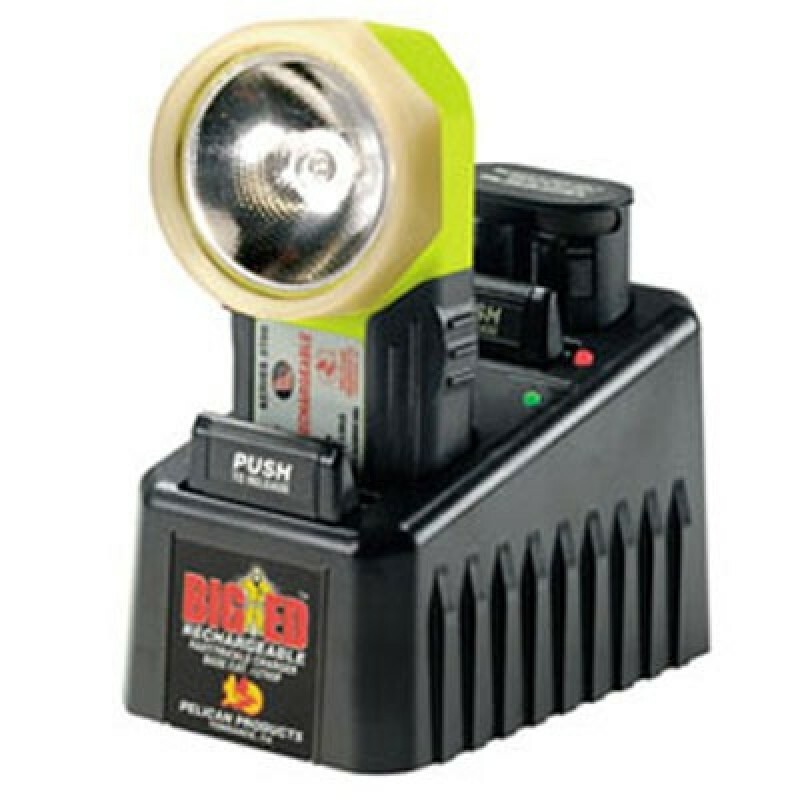 The Big ED Rechargeable 3750 from comes with a 110 volt transformer and drop-in smart charger base. The Pelican Light is chemical, water, and heat resistant. Like all Pelican Products, the Big ED Rechargeable 3750 is virtually unbreakable and unconditionally guaranteed for life. The unique features of this Pelican Flashlight include a spare lamp and quick change battery ejection system. The powerful Xenon lamp of the Pelican 3750 Light creates a long distance bright white light beam that easily penetrates the densest smoke and dust. 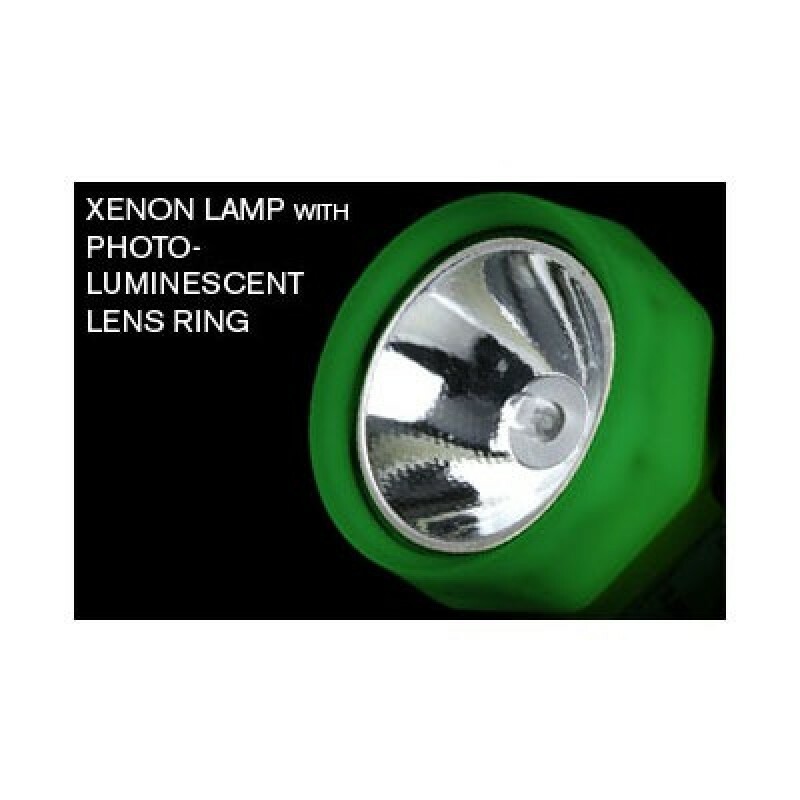 A backup Krypton gas lamp is also included in this Pelican Flashlight. A stainless steel clip and ring for versatile attachment allow it to be worn on the shoulder or on a fireman's turnout coat. The Pelican 3750 is UL and ATEX approved.